What if you took a few moments every evening to review how you cared for yourself and where you could improve the next day? There’s a pretty good chance you’d become more accountable for creating better days. 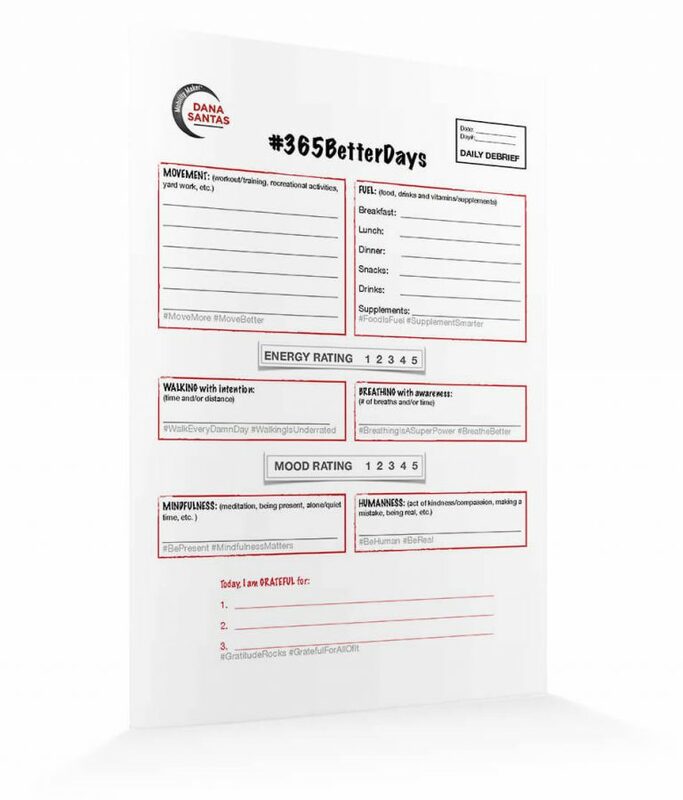 That’s why I created this FREE printable #365BetterDays Daily Debrief pdf that you can use nightly to proactively review your day, looking at how you moved/trained, what you ate, your energy level, mood, mindfulness, breathing, etc.